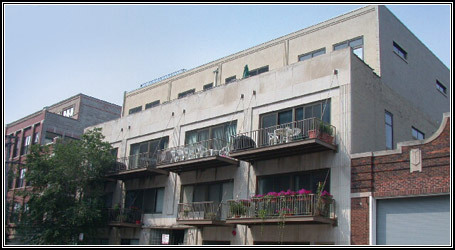 Arthouse Lofts are a 35 unit loft conversion located in Chicago’s West Loop neighborhood. The property was a converted from a warehouse and office space into one and two bedroom lofts with tall timber ceilings and exposed bricks. In addition, like 1515 South Michigan Ave., we added a new construction floor to the existing building. The property also included a vacant lot located directly to the west of the building. Between when the property was starting to be marketed and the start of the development on the vacant lot, the neighborhood became so hot that the vacant land was flipped to another developer.